Your goal is to create visually appealing, memorable and effective interactive digital experiences. Intuiface Composer is up to the task, built to provide a constraint-free work environment in which you can build any experience imaginable. All this without ever writing one line of code. In software parlance, our editor - Composer - enables a “what you see is what you get” experience. Your design creations look exactly the same in the editor as they do at runtime so there are no surprises. 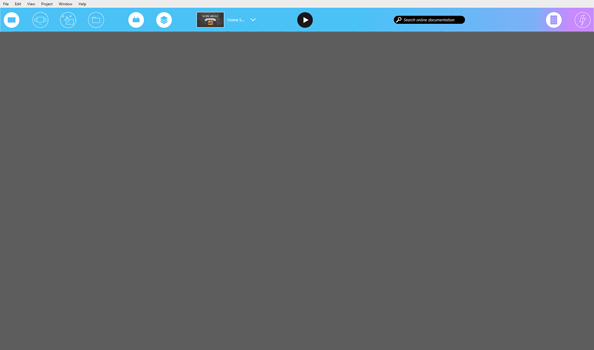 Easily add your own content – images, videos, documents, audio files, etc. – using drag-and-drop from File Explorer or via the built-in Content Library. 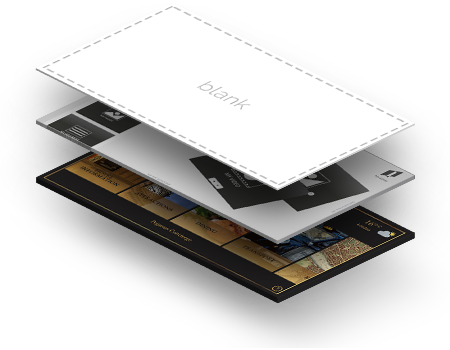 There are no annoying, pre-built templates or design constraints. 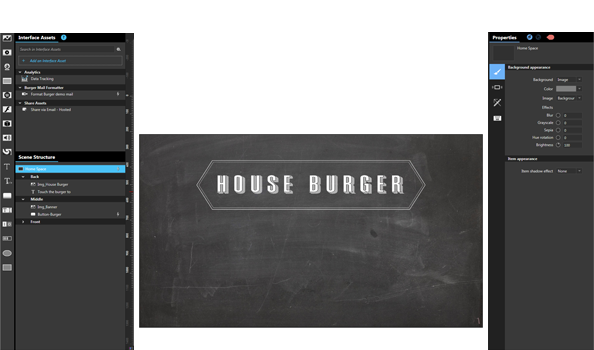 You can control every pixel of the storyboard, workflow and layout. It's your experience and your audience so do whatever you like. Want some help? Our free sample experiences can be used for inspiration or as a starting point for your own work. Regardless of how you work, we've got you covered. Landscape or portrait? Single screen or multi-screen display wall? iPad Retina display or Full HD on a Windows PC? Choose whatever is appropriate for your environment. You can even specify your own custom dimensions if called for by your deployment needs. Of course your Intuiface experiences can include images, videos and documents. However, many more content types - we call them “assets” - are also supported including 3D models, HTML iFrames and embeds, maps, YouTube videos, Flash animation and audio for voice over and sound effects. There is no need to code interactivity. Your graphic content is automatically responsive to tap, swipe, pinch and other common touch screen gestures. Plus we've added our own additional gesture library, giving you even more freedom to express yourself. It's easy and intuitive. Heavy Adobe Photoshop user? Working closely with a graphic design team? 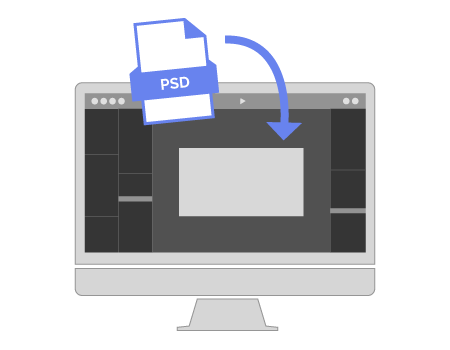 Intuiface automatically imports Photoshop psd files, converting all labeled layers and groups into png images immediately available for use. Reimport is smart enough to old capture changes. Unlimited control over the z-axis - that is, the stacking of visual content in and out of the screen. Plus, with experience layers, you can create "master layers" that are optionally visible across all scenes and always onscreen during scene to scene navigation. 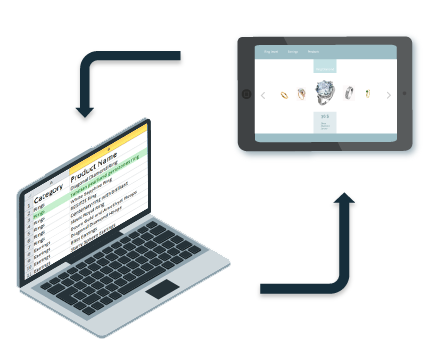 Based on years of customer feedback, Intuiface includes a host of tools - both manual and automated - to speed and fine tune your design efforts. 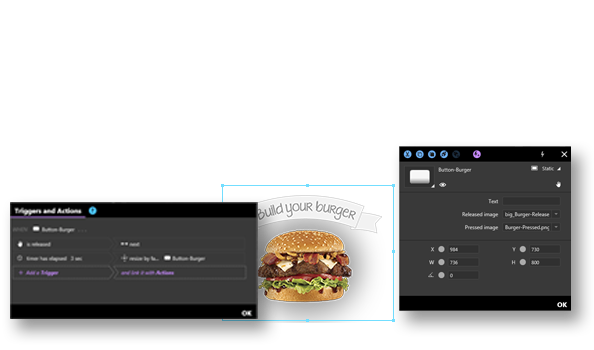 Snap-to alignment, dynamic guides, “smart” panels, keyboard shortcuts, configurable editor layouts and much more. Through the use of “collections” you can display multiple, related items in a single, interactive context. 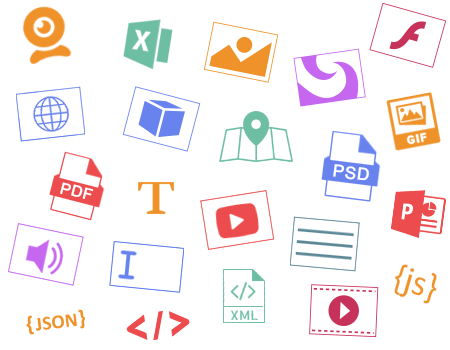 Enable your users to browse a library of images, documents, websites, videos and more using tap or drag-and-drop to pop out copies for independent manipulation. Or include image buttons to turn your collection into an advanced navigational tool. ‍Asset Flow: Adds depth to a single row or column. Carousel: Three dimensional, rotational view. Flip Chart: Displays one item at a time. Slideshow: Automates display of one image at a time with pan and zoom effects for each image. Map: Use OpenStreetMaps or Bing Maps to interactively display any geographic location. Both map and satellite views are available. ‍‍Helix: Three dimensional, DNA-like spiral. Timeline: Assign each item to a date and then swipe left and right through time. Group: A container for multiple items that supports relative resizing. Good for data sheet creation. ‍‍Circular Panel: A rounded menu that can contain more items than visible at any given moment. Use a quick-access panel to rapidly change the collection style. Meanwhile, behind the scenes, a machine learning engine is studying your preferences, setting the stage for an option generation capability that will help to improve your designs and maintain your aesthetic. 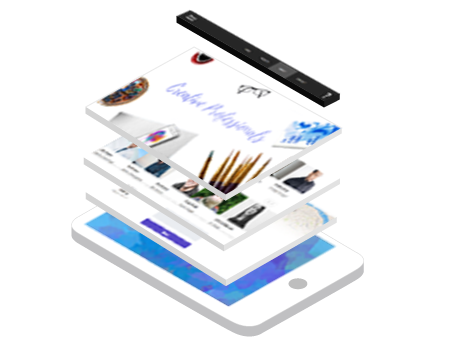 When first using Intuiface you'll likely take a straight forward approach, creating a literal representation of your designs and workflows. In time you can use Excel to externalize content, accelerating experience construction and simplifying project maintenance. Include ready-to-use components - graphics, buttons, menus and much more - to give your experiences a more professional, finished look in less time than it would take you to create everything from scratch. Customize them as you wish.